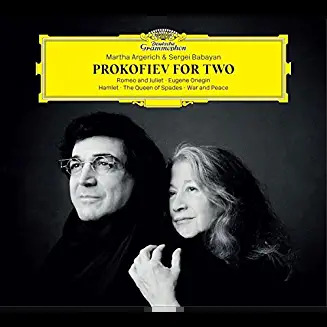 In a beautifully recorded and packaged presentation, we have seven pieces for two pianos arranged by Sergei Babayan and all dedicated to Martha Argerich. 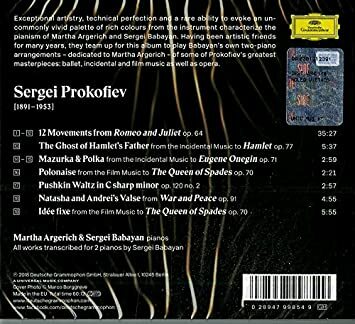 Not all of Prokofiev's music is as bombastic and percussive as you might think. From the 12 Movements from Romeo and Juliet, Op. 64, section 9 (Morning Serenade) and 11 (Romeo and Juliet Before Departure) are in deep contrast to section 12 (Death of Tybalt). The sheer artistry from both pianists captivates throughout. As large as the Argerich discography is, this is a welcome addition, as is all new Argerich recordings. 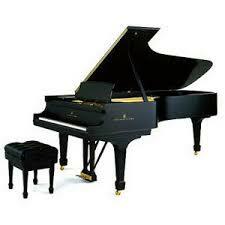 The pianos are well balanced, and there is "air" surrounding them thus giving a very lifelike listening experience. To be truthful, I didn't know that Prokofiev wrote operas called Eugene Onegin or The Queen of Spades: I thought they were by Tchaikovsky!! At any rate, this looks like a fascinating release, and it goes on my Want List immediately. Thanks, Lance!